Bandino cup bands...they've arrived at last! We are so excited to finally share Bandino with you and introduce our first product, the Bandino cup band. A great way to label your bottle! 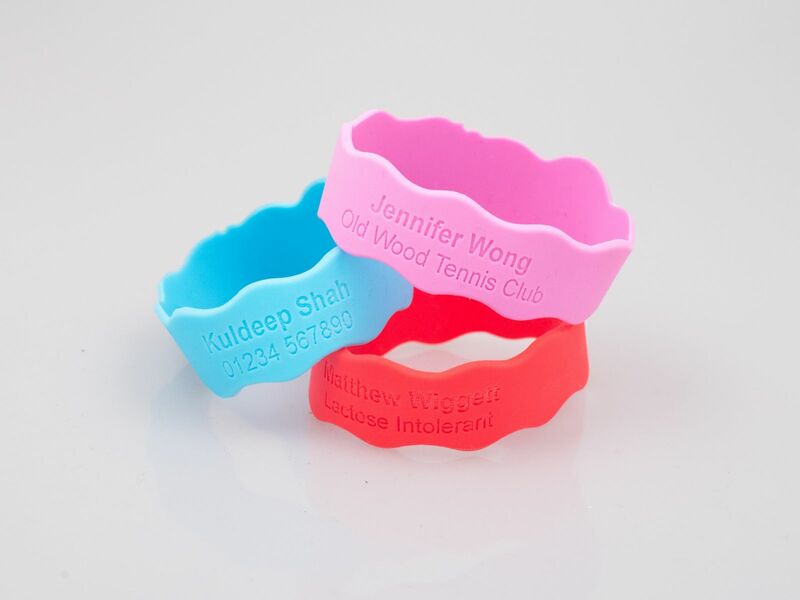 The Bandino cup band can be personalised with almost anything: a child's name; a telephone number; allergies; sports groups; school name, the list is endless particularly as everyone who knows about them tells us of ways they want to use it! 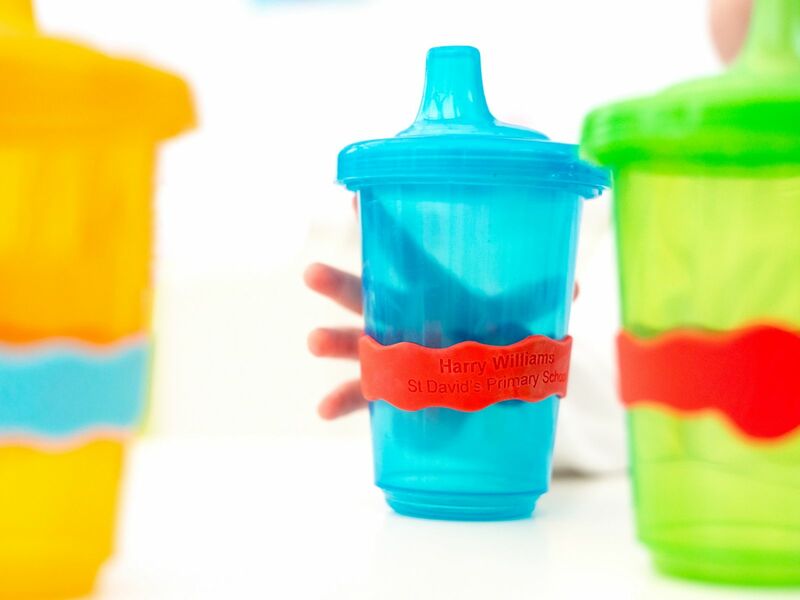 Our Bandino bands come in 3 vibrant colours and stretch over almost any cup or bottle. 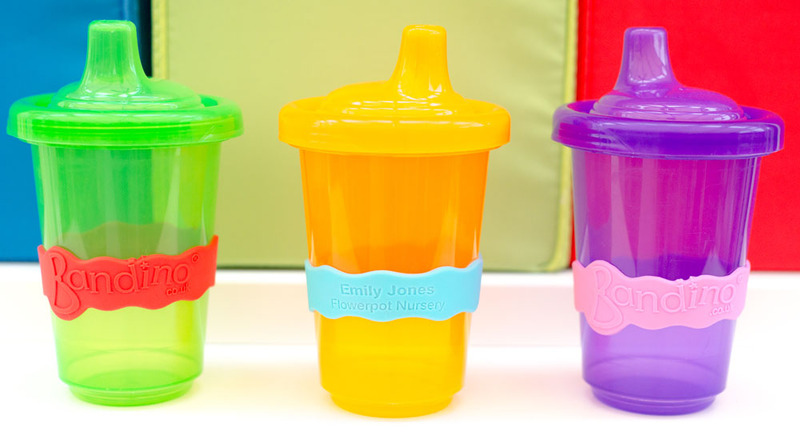 Perfect for school and nursery!